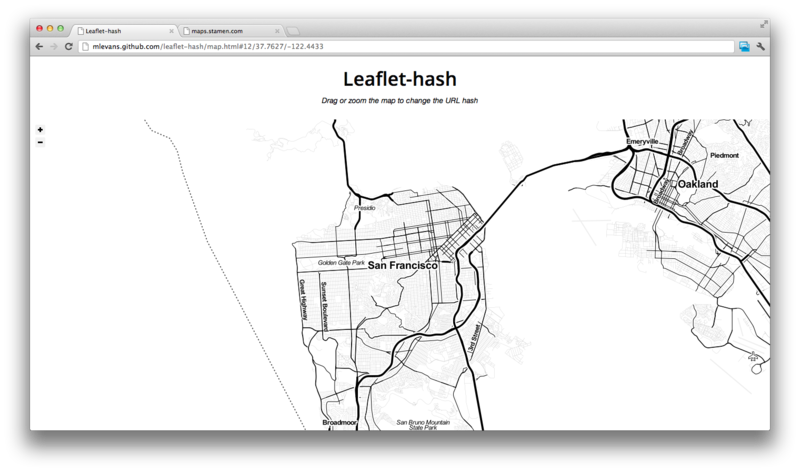 GitHub - mlevans/leaflet-hash: Add URL hashes to web pages with Leaflet maps. Want to be notified of new releases in mlevans/leaflet-hash? You can view a demo of leaflet-hash at mlevans.github.io/leaflet-hash/map.html. Prepare a basic leaflet map. You can find instructions on Leaflet's quick-start guide.